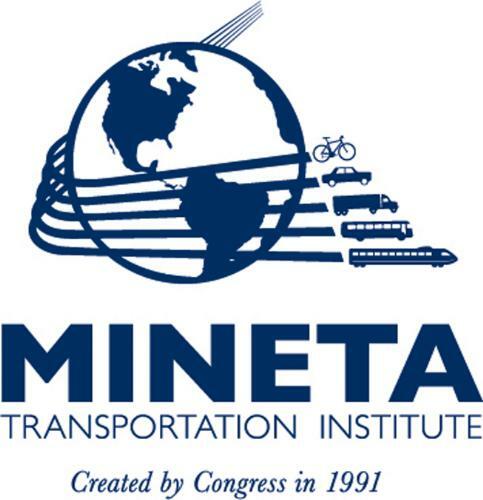 The Mineta Transportation Institute (MTI) conducts research, education, and information and technology transfer, focusing on multimodal surface transportation policy and management issues. It was established by Congress in 1991 as part of the Intermodal Surface Transportation Efficiency Act (ISTEA) and was reauthorized under TEA-21 and again under SAFETEA-LU. The Institute is funded by Congress through the US Department of Transportation’s (DOT) Research and Innovative Technology Administration, by the California Legislature through the Department of Transportation (Caltrans), and by other public and private grants and donations, including grants from the US Department of Homeland Security. DOT selected MTI as a National Center of Excellence following competitions in 2002 and 2006. The internationally respected members of the MTI Board of Trustees represent all major surface transportation modes. MTI’s focus on policy and management resulted from the Board’s assessment of the transportation industry’s unmet needs. That led directly to choosing the San José State University College of Business as the Institute’s home. The Mineta Transportation Institute research program involves a diverse and growing number of certified Research Associates (RA), Consulting Associates (CA), and student research assistants in a wide spectrum of research projects. These are judged by peers and other experts to advance the body of knowledge in transportation policy and management from an intermodal perspective. All completed research reports and the proceedings or reports of MTI events can be accessed using the publications link on this page. Also available are descriptions of research in progress; a list of Research and Consulting Associates; the forms to apply for RA and CA certification, manage research projects, and respond to the annual request for proposals.